If you’re looking for a high-quality used vehicle that you can count on for years to come, you’re in the right place. At Fox Valley Volkswagen Schaumburg in Schaumburg, Illinois, we carry a stunning inventory of pre-owned cars and SUVs to take your breath away. From luxury SUVs to fuel-efficient vehicles that are easy on the pocketbook, you’ll find what you’re searching for below. Call now if you have any questions, or visit our Schaumburg, IL Volkswagen dealership for an eye-opening test drive today. You can modify your search criteria and try again. Otherwise you can use our Auto Finder to be notified of new matches by email or call our sales team at (877) 544-6524 for help locating the perfect fit at! At Fox Valley Volkswagen Schaumburg, we make it easy to save on the new VW vehicle you’ve been looking for. 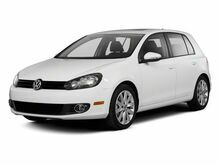 Check out our current incentives for amazing offers on our most in-demand new Volkswagen vehicles. From there, see what your monthly payments could be to find out just how affordable our new cars are. Finally, if you have a trade-in vehicle, get a KBB instant cash offer from us now. Feel free to give us a call if you have any questions. If you think getting behind the wheel of a new VW car has to be difficult, think again. When you shop for your next vehicle at our Schaumburg, IL dealership, we’ll help you get a great price and monthly payment for your budget. Whether you’re interested in leasing a vehicle or applying for an auto loan, call now or fill out our secure auto finance application to get pre-approved in minutes. Whether you’re in the market for a pre-owned vehicle or new Volkswagen vehicle, Fox Valley Volkswagen Schaumburg makes it easy to find your next car. You can browse all our inventory online then check out our deals under $10,000 and current incentives page for outstanding deals and special offers. Use our payment calculator to help with budgeting, and don’t forget to obtain your free KBB instant cash offer on any trade-in vehicle you may have. At our Schaumburg, IL auto finance center, we have a passion for helping our customers discover the perfect pre-owned car for them. Whether you have great credit or bad credit, we can help you find the right fit for your budget and lifestyle. Call now to talk to one of our friendly finance professionals, or fill out our secure auto finance application to get pre-approved for auto financing in just a few minutes.